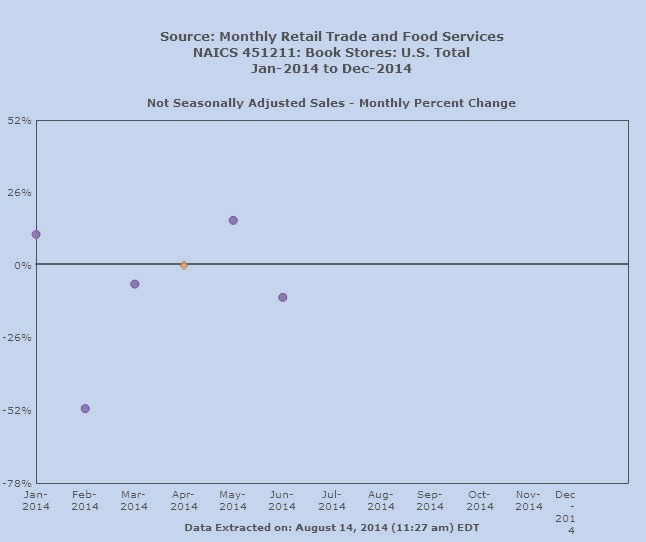 More bad news for brick and mortar bookstores. Preliminary estimates by the US Census Bureau show bookstore sales down 7.9% for the first half of 2014, compared to the same period of 2013. Figures in the report were not seasonally adjusted.